Plaques, awards, trophies and medals for sports, office, personal and business. Your solution for the most CREATIVE and CONTEMPORARY AWARDS, GIFTS, DECORATIONS and MORE! Ashley Engraving & Trophy is a locally owned and operated family business located just west of Rochester, New York, in Spencerport. Owned by Mark and Eileen Lipari, Ashley’s new, state-of-the-art laser and engraving machines offer customers a wide variety of customization and options when choosing which awards best fit their needs. 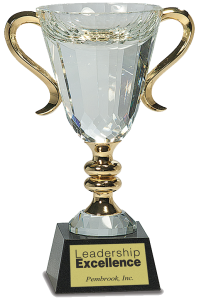 Ashley is capable of customizing nearly anything imaginable, including trophies, plaques, cups, signs, glasses, acrylic, crystal and much more! 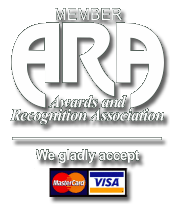 Our key objective is to provide you with timely, professional solutions to your custom awards needs. And we don’t want to limit your creativity. Let those creative juices flow because our equipment allows us to offer the most unique and creative custom awards, trophies, decorations and gifts you’ve ever seen! Ashley Engraving & Trophy is open Monday through Friday from 10AM to 4PM. Please contact us today to learn how we can fulfill your creative awards needs!